Little Women 2017 remake is like a warm hug from your TV. The new TV show that's like a warm hug on a bad day. Sometimes you don’t want to watch something scary, gory or side splittingly funny. Sometimes you just want something familiar, something you can put on, curl up on the sofa and just watch. Little Women is perfect for those times. The iconic classic has been remade (again) and it’s warm and fuzzy viewing. Think of it as as a hug from your TV or laptop screen. The three part BBC series dropped on Stan on Boxing Day and if you haven’t watched it already, do. It’s the perfect period drama to fill The Crown shaped hole in your viewing schedule. The modern adaptation – which follows the beloved 1994 film version starring Winona Ryder and Claire Danes – is faithful to the 1868 novel by Louisa May Alcott. 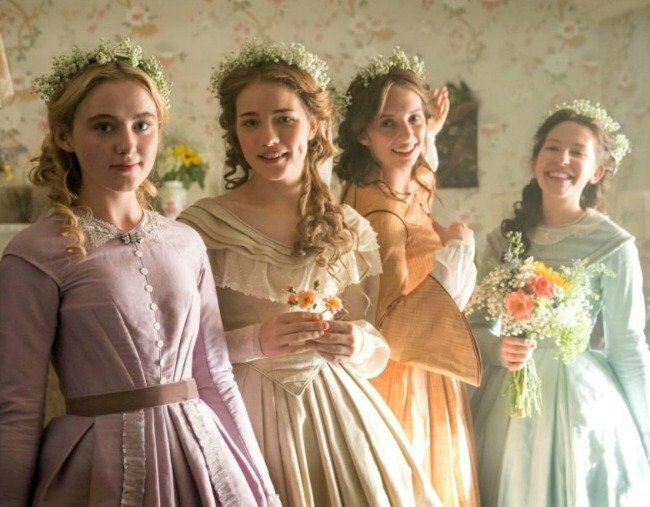 Set during the American Civil War, Little Women follows the lives from childhood to womanhood of the four March sisters – Meg, Jo, Beth and Amy. There are some big names. Emily Watson plays Marmee, Michael Gambon as James Laurence, Angela Lansbury as Aunt Josephine March and Maya Thurman-Hawke (the offspring of Uma Thurman and Ethan Hawke) plays the kind of Jo that always made her such a great character. It&apos;s less preachy but still lesson giving and visually, it&apos;s stunning. Critics are giving it rave reviews, but not everyone is impressed - including The Binge host Laura Brodnik, a passionate fan of the book and original film. Is the new series TOO faithful? Was the celebrity casting of Maya Thurman-Hawke stunt casting? How did they deal with the problematic ending? It&apos;s not groundbreaking but that&apos;s exactly why it&apos;s such welcome viewing. Have you watched it? Let us know what you thought - tell us below.